Home / Members / Confidence – Do You Build It? Or Are You Born With It? But by doing the workouts, participating in classes, speaking up during class… you are using and building your confidence! I have one child with an incredible amount of confidence. 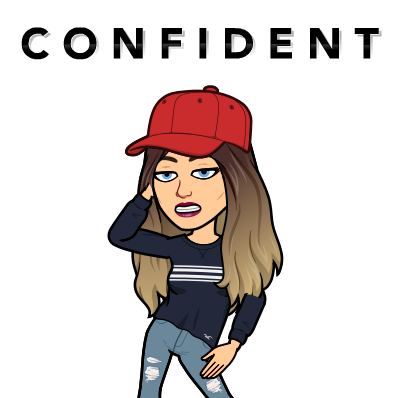 Is it possible to be too confident? 😂 And another that lacks confidence. How can they be so different? I’m constantly wondering what I can do to continue to build both of them up. Imagine if YOU had been given more guidance in your pre-teen to teenage years. I love this quote. We are all good enough. BUT… (and this is a big BUT) it doesn’t mean we can’t be better. Continue to work on your health, family life, confidence. It’s ok to want to improve. Our world is constantly preaching that every personality, every body type, every one of us is ok just as we are. While that may be true, is it really such a bad thing to want to be better? NO! Take control of your life, set some goals and kick some a**! And remember… confidence is key. Trust yourself and know that you are on the right path.